1. 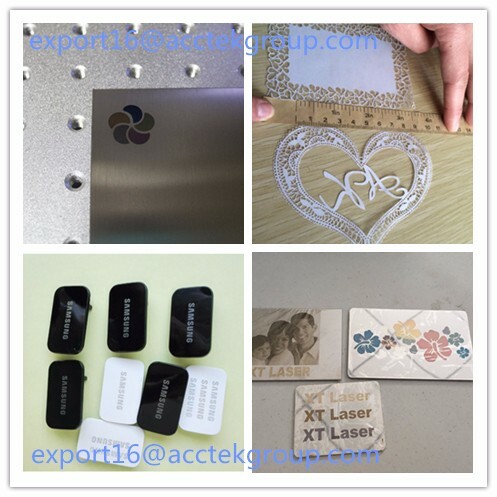 High quality laser path suitable for delicate marking. Reaching nearest to the limit of diffraction. Exporting TEMOO of fundamental transverse mode. M2 near to 1. Beam divergence angle is only 1/4 of diode laser. Focus dot diameter is not over 20 um. 2. High pulse repeating rate and stable power bring high speed laser marking. Unit pulse power surge is lower than 1%. Easy control laser dot size, thickness and shape. 3. High speed 2-3 times over than traditional diode pumped marking machine. 4. Air-cooling smart machine size! 5. Long lifetime. Ultra-low power consumption of 0.5 kw. Efficiency conversion reach to over 30%(Not suitable for stainless steel color marking ). 1.Electronic and communication products, IC products, electric lines, cable computer components and electric appliance. 2.Every kind of precision parts,hardware tools,instrument appliance,aviation and spaceflight appliance. 3.Jewelry, garments, instruments, gifts, office devices, brand scutcheon, sanitary ware appliance. 4.Dishware ,food ,drinking,smoking and alcohol,etc. 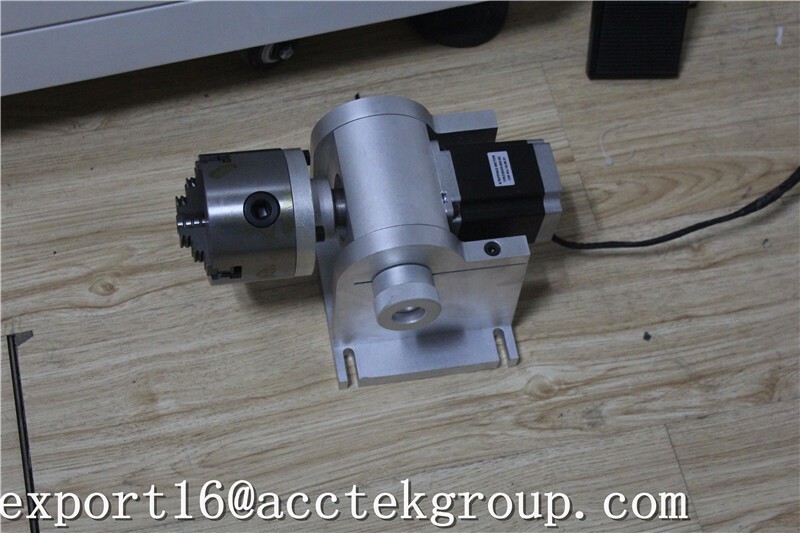 Option :Rotary , produce cylinder material , such as Fiber laser marking machine marking ring, ruler .